Spiritual Beggars - "On Fire"
Swedish rockers Spiritual Beggars return with their fifth full length album of 70's influenced powerhouse heavy rock. Singer/bassist Spice has since left to join the Mushroom River Band and has been replaced by JB on vocals and Roger Nilsson on bass, joining longtime Beggars Michael Amott on guitar, Per Wiberg on keyboards, and Ludwig Witt on drums. As for the vocal change, JB quite capably steps up to the plate with a commanding voice that reminds me of Ronnie Dio, Rick Derringer, and... you get the idea. On Fire couldn't be a better title for this rousing set of songs. The band do an excellent job of blowing the listener's face out with nuclear powered rock, while approaching the point on several tracks where they could reasonably expect some popular radio play. A perfect example is the opening track, "Street Fighting Saviors", a power rock song with a full organ sound that gives that beautiful 70's feel. "Tall Tales" is another standout track and includes some of Amott's most blazing shred guitar on the album. And I really dig JB's soulful and passionate vocals on "Fools Gold". "Black Feathers" veers off into different territory, opening with proggy keyboards that briefly bring to mind ELP. Then the John Lord organ kicks in for a moment until the full band launches into a slow paced but totally in-yer-face rock assault on this song that has a strong Dio sound. But this isn't Spiritual Beggars only moment of quiet reflection and variety. "Fejee Mermaid" is a short melodic piece that is a combination of trippy space and classic progressive and serves as kind of an intro to "Dance Of The Dragon King", a powerhouse rocker and one of my favorite tracks with lots of shifting rhythms and excellent guitar work from Amott. The last two tracks on the album, "The Lunatic Fringe" and "Look Back", are two more of my favorites and have some of the most laid back and soulful musical moments of the set. In summary, for pure HEAVY power rock that draws on 70's influences Spiritual Beggars have cranked out a fine set. "Young Man, Old Soul" is the one track with the plodding Black Sabbath styled Stoner vibe, but that's not what this album is really about. If you like accessible songs with excellent playing and a blow-the-walls-out attitude, this is pretty decent stuff. 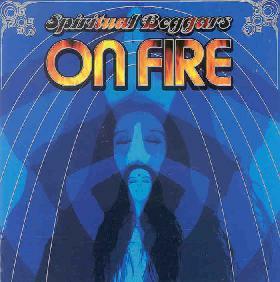 For more information you can visit the Spiritual Beggars web site at: http://www.spiritualbeggars.com.